Decrease Cost, Increase Structural Integrity. That's a Win-Win! The asphalt in place was failing so badly that it was removed entirely. 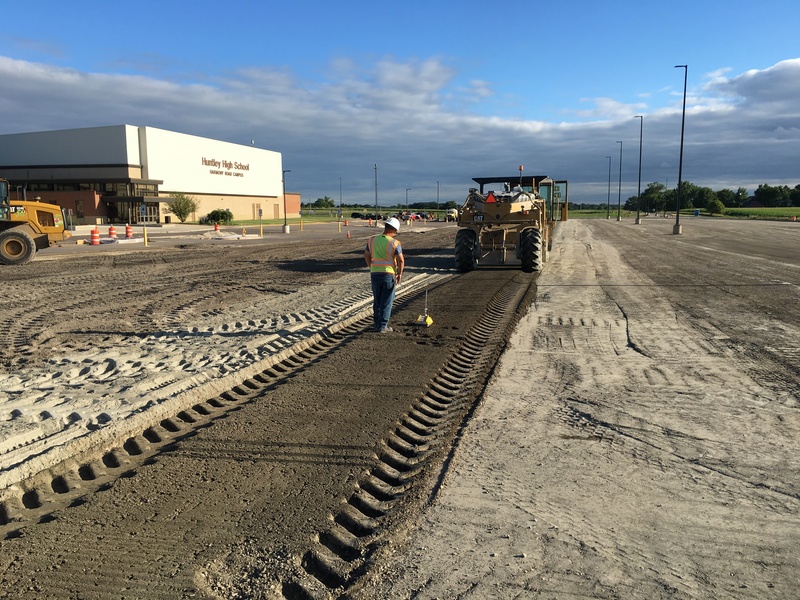 The estimated removal and replacement of the aggregate could have been as much as $275,000. The budget for this repair was fixed far below the potential cost to remove and replace the aggregate base. The school needed to find an alternative solution that would not compromise quality. 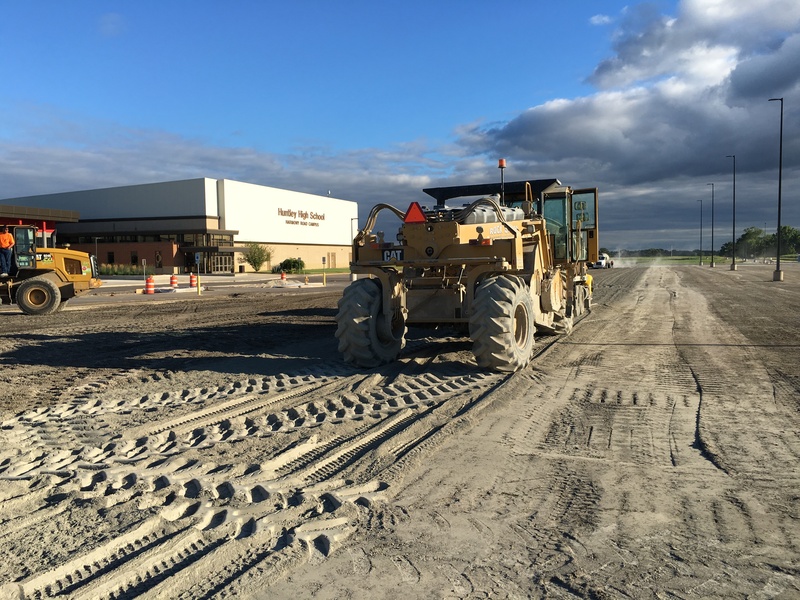 The general contractor on the project suggested a value engineered Base Stabilization of 5% cement, tilled at 12″ to help save the school thousands of dollars . The school was able to complete the repairs for under $85,000 (70% savings) and also increase the structural integrity of their parking lot. It was a win-win for the school. The school district was so pleased with the results of the project that they implemented reclaiming and recycling techniques on their entry drives the following year.